Welcome back my lovely travel giraffes. To any new subscribes, thank you and welcome to the family! On Thursdays, we talk about travel because, like me, you’re probably a wanderlust junkie. 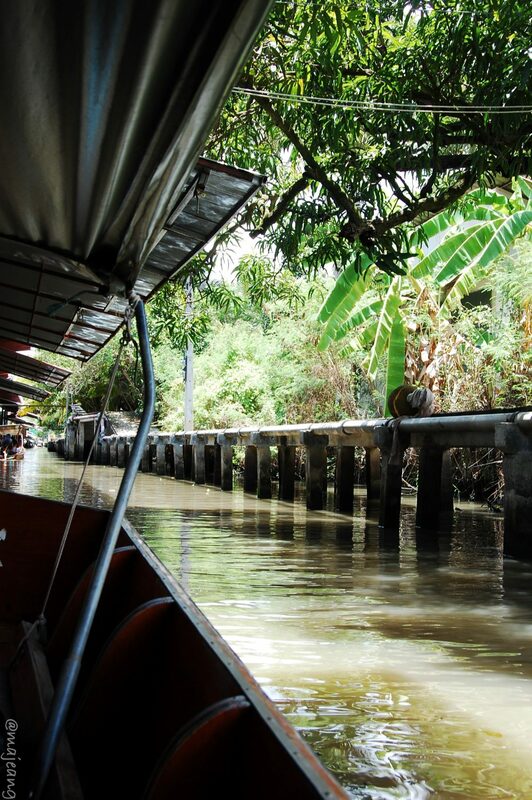 If you ever considered going to Bangkok Thailand but hesitated, I’m here to share why you must. These are my best reasons to visit Thailand. There’s nothing like tasting Thai food from Thailand. Food is so fresh and most times, cooked in front of you. There’s an authenticity in the food that you can’t get anywhere else in the world. Yes, you can get pretty close to it but, nothing beats eating food there. You may ask what’s my favourite dish but to be honest, I don’t really have one. Once it’s got seafood and not too spicy I am in heaven! Where else in the world can you sit in a boat and shop? Anything and everything you could possibly want or desire are on boats. There’s something beautiful in seeing these Thai people skillfully manoeuvre on the water in tight spaces whilst, making sales. Almost poetic if you ask me. Speaking of boats and shop, the shopping here is pretty cheap! If you’re coming from the UK or US, your money stretches. If you’re a bit of a shopaholic then I suggest you visit the other islands first and stop off in Bangkok for a couple of nights to shop. The night markets are out of this world! If you think it, they probably sell it! As I mentioned before, your money stretches in Bangkok. Whilst it may not be the cheapest of places to fly to, once you are here you could potentially survive on £50 or less, per day. One thing I will say is this, it’s nice to get things cheaply and haggle for what you want, but remember these people are earning a living too. Bangkok is the capital of Thailand and where most international flights fly to but that does not mean that you can’t travel out. You can book an internal flight, train or boat to take you to one of the beautiful islands if a beach holiday is what you’re looking for. There are a number of islands such as Krabi, Phi Phi and Koa Samui to name a few. Destination2 offers Thailand multicentre holidays so you can check them out to book your perfect Thai break. These are what I consider the best reasons to visit Thailand and I would love to plan a holiday to a couple of the islands in the near future. Have you been to Thailand before? What was the best thing about visiting there? Remember to comment and subscribe in the box on the right-hand side, for more lifestyle, travel and fashion posts. You can also find me on Bloglovin. As always thank you for stopping by and until next time, be well! Thank you to Destination2.co.uk for sponsoring this post.